Protect all of your internet-enabled devices. Take a regular internet router and install VPN software on it. That’s it, you have a VPN router! Set up NordVPN on your router and secure all connected devices in bulk. That includes computers, smartphones, smart TVs, game consoles – you name it. Complete online security for your daily life and business. With one NordVPN account, you can protect all your family’s devices and encrypt the public Wi-Fi on your business premises. With a VPN router, you can be sure your online data is protected even when switching between different devices. This way, you’ll never forget to encrypt. Benefit from a simple yet powerful VPN app designed specifically for routers. Manage your router VPN connection remotely from your desktop or mobile phone. Simply enter your NordVPN logins, pick a server, and click Connect to start your protection. Forget manual switching. To find the server that suits your needs best, sort the available servers by distance, load, or simply see the list recommended by our algorithm. Be sure that your sensitive data will not be exposed, not even for a brief moment. The Kill Switch technology will disconnect all your devices in case a VPN connection drops. 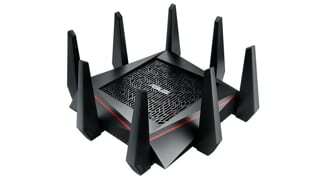 The NordVPN Asus RT-AC5300 not only looks like a robotic Alien 'facehugger', it performs like one too. 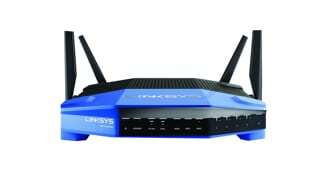 Introduced in 2002, the classic Linksys WRT54G served the role as the first Open Source DD-WRT router. Meet the NordVPN Netgear R6400 DD-WRT FlashRouter, a.k.a. 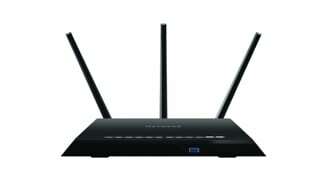 the Netgear Nighthawk, a wireless networking hub with power to burn and style for miles. حمل تطبيقاتنا الخاصة لمنصة الأندرويد والأيوس. عذرا، المحتوى في هذه الصفحة غير متوفر باللغة التي تفضلها.